Ultima Underworld II is the follow-up after Ultima Underworld I, after which, Looking Glass stopped making the series. As you notice from the screen shot above, it features more realistic portraits and a bigger viewable screen. It's more fun to play, with many worlds to explore and riddles to solve. NEWS just in! Ultima Underworld I: The Stygian Abyss & Ultima Underworld II: Labyrinth of worlds are now available for download @ GOG! All your Base Are Belong To Us! Don't know what this is? 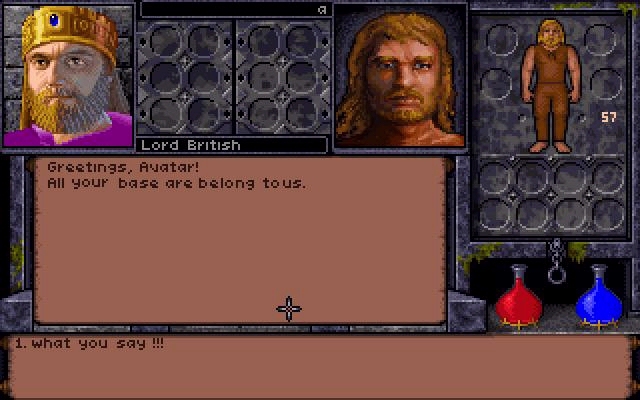 After checking that link, check this out: An Ultima Underworld II - All Your Base Are Belong to Us humor!! Posted in the Wayward Avatar Forums. Far more than a dungeon crawl, Underworld Ascendant is a next-generation sequel to the legendary fantasy RPG’s Ultima Underworld & Ultima Underworld 2. It not only modernizes the series’ visuals and user interface to take full advantage of the today’s powerful PC’s, it innovates in bold new ways. Speed Run added! Thanks to thecybercat. Lots of [beta] editors and downloads added to downloads and solutions page. Thanks to UW Editing Central links. Added General Midi patch at downloads section. Added Hacki's Ultima Underworld II Nitpicks. Interesting reading about the holes in the story line. Added a guide on running Ultima Underworld I/II under Windows 2000/XP.